Summer is on its last breath. Does that sound dismal? I don’t mean it to be! I love the end of summer. That’s when all of my favorite things are around in full force. Think tons of zucchini and lima beans and tomatoes galore. I eat all of these things on a daily basis in late summer. 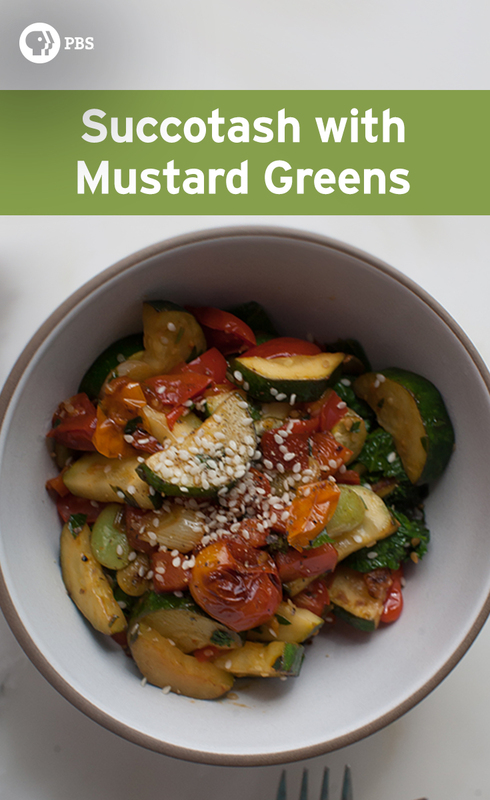 This is the simplest of succotashes with a nice addition of mustard greens; they give it a good flavor note. 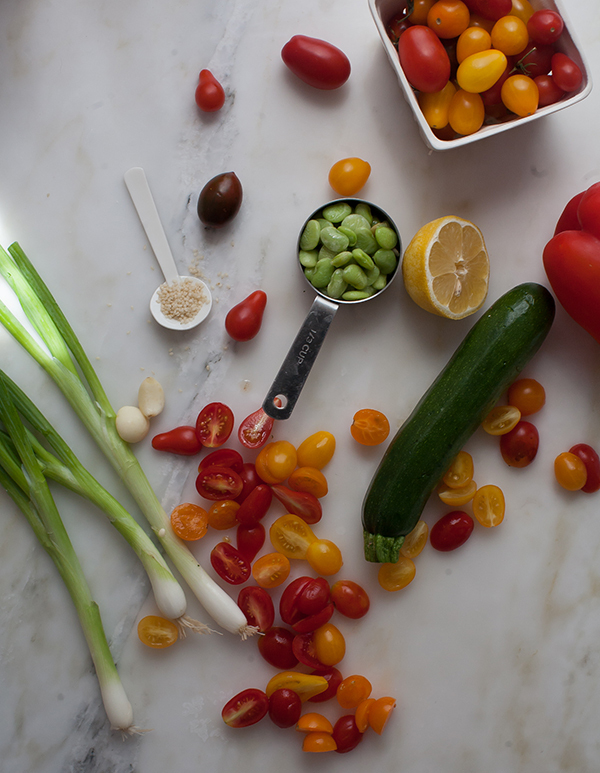 You can serve this succotash with all sorts of things. Think a piece of fish or a piece of chicken breast. Or even you can put all of this in between a good tortilla and add some hot sauce. OR, serve it for breakfast with a side of fried eggs. 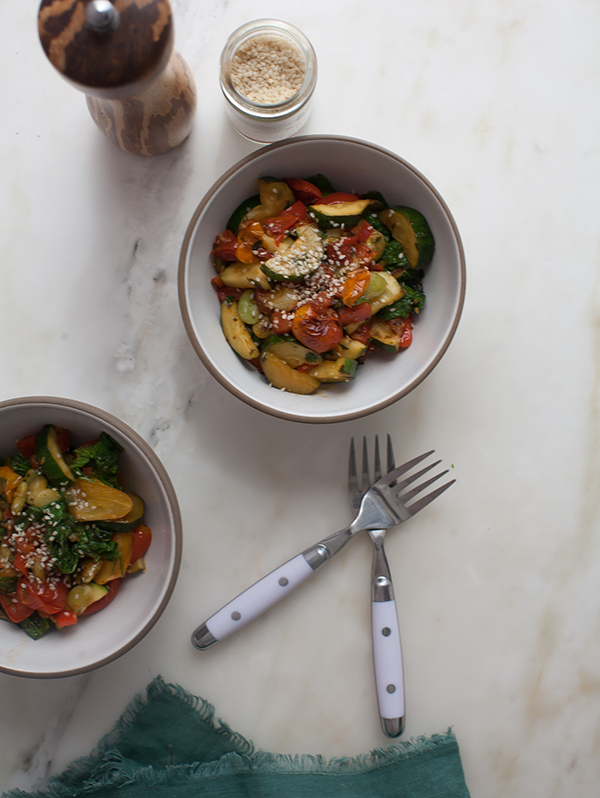 It’s the ultimate, throw-everything-into-a-pan-and-cook-it-up type of meal, which is exactly what I’m looking for when it comes to late-summer time. 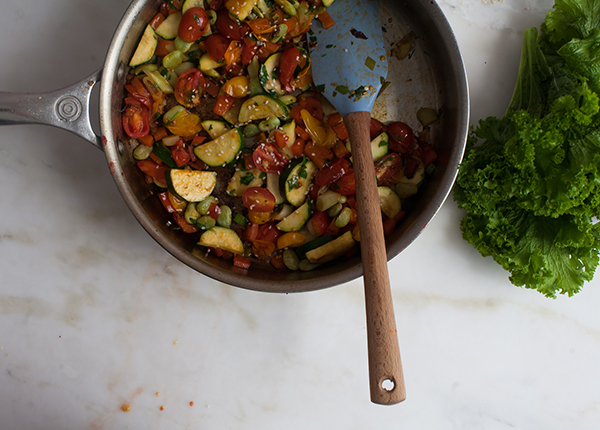 In a medium saute pan, set over medium-high heat, add the olive oil. 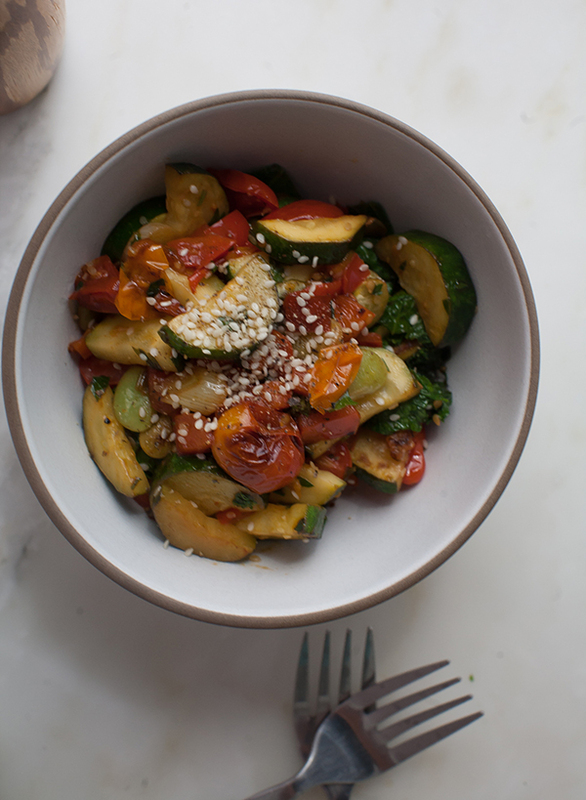 When the oil glistens, add the red bell pepper, zucchini and cook for 1 to 2 minutes, until the zucchini has slight color. Add the cherry tomatoes and stir and cook for about 1 minute. Next add the corn, green onions, garlic cloves, Italian parsley and cook for about 2 to 3 minutes. Lastly, add the lima beans, lemon juice, a few turns of black pepper, a sprinkling of sesame seeds and mustard greens. Cover the pot for about 1 to 2 minutes (this will help soften the mustard greens). Uncover, give it a stir and add salt to taste). Divide amongst bowls and serve.